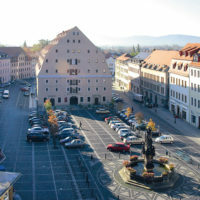 The town of Zittau is just as unique as its location. 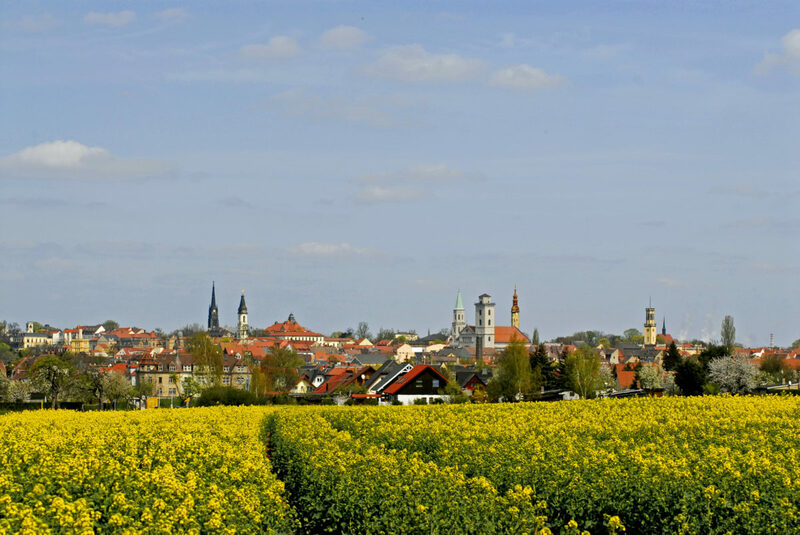 Situated at the confluence of Lusatia’s Neisse and the Mandau river and surrounded by picturesque mountains and hills of the southeastern part of the Oberlausitz, wide horizons opened up for the town. 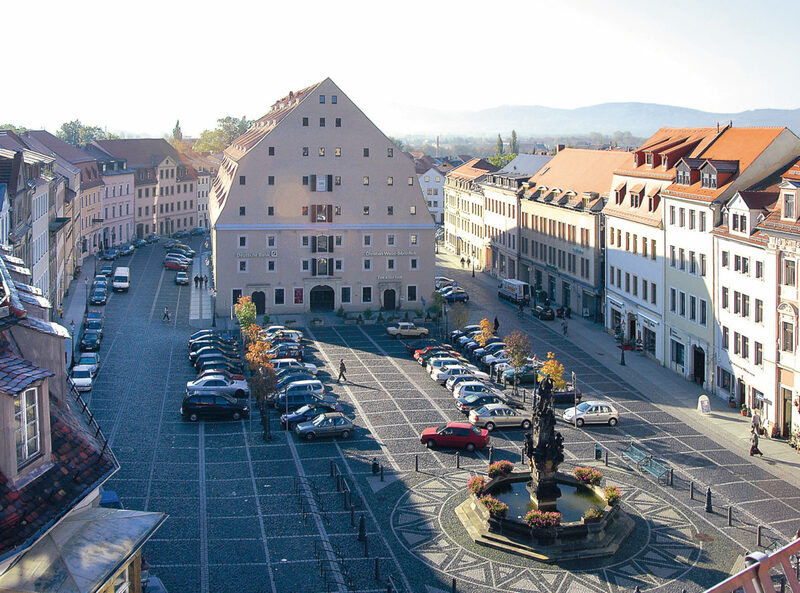 History and present meet again and again in Zittau. 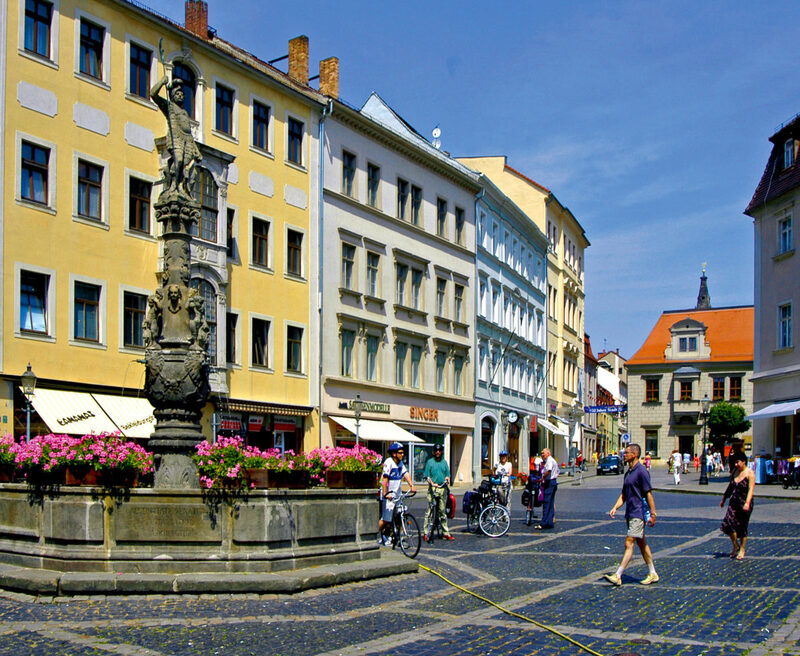 Whether it’s culture and leisure, tourism and nature – today’s life in Zittau has a lot to offer in every way. Spectacular events and cultural highlights attract tourists and visitors every year. 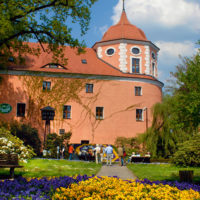 For example, the town immerses itself in history every year on the night before Ascension Day at the Spectaculum Citaviae and turns the city centre into a setting of medieval times. Besides this spectacle, a number of festivals and events give the town a special rhythm, spark or a festive atmosphere. Whether it’s the traditional city festival, cultural -, reading -, or film nights, the Christmas and Advent market St. Johannis, regional markets with products from the Neisse Euroregion or the lights festival – they all shed a special light on Zittau. Zittau’s history is as varied as its region’s history. 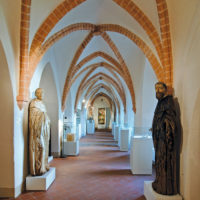 As one of the the members of the Six-City League, Zittau became an important centre for trade and markets in the Oberlausitz and still is one of its most visited centres as a „discoverer town“. 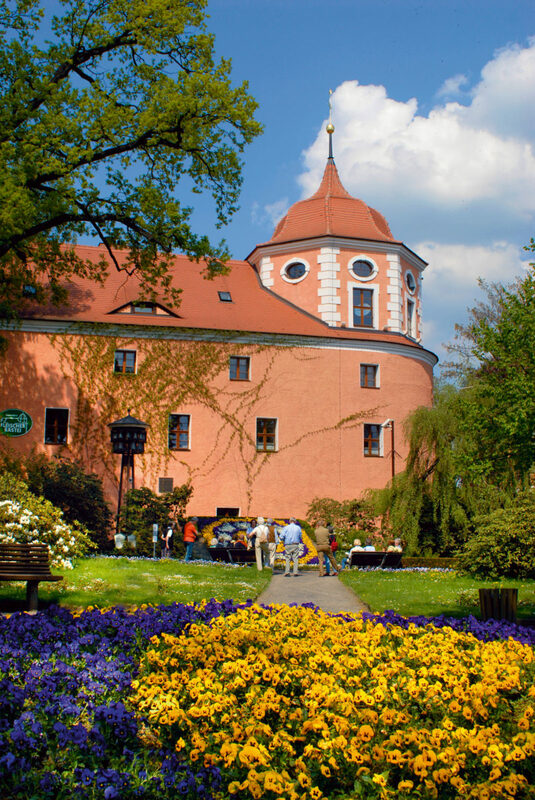 After the Thirty Years’ War, Zittau was assigned to Saxony and achieved prosperity through weaving and the cloth and brewing trade. In the middle of the 18th century, the urban architectural ensemble became its most important influence with the Baroque style, which can be seen in opulent town houses and elaborately designed entrance ways. 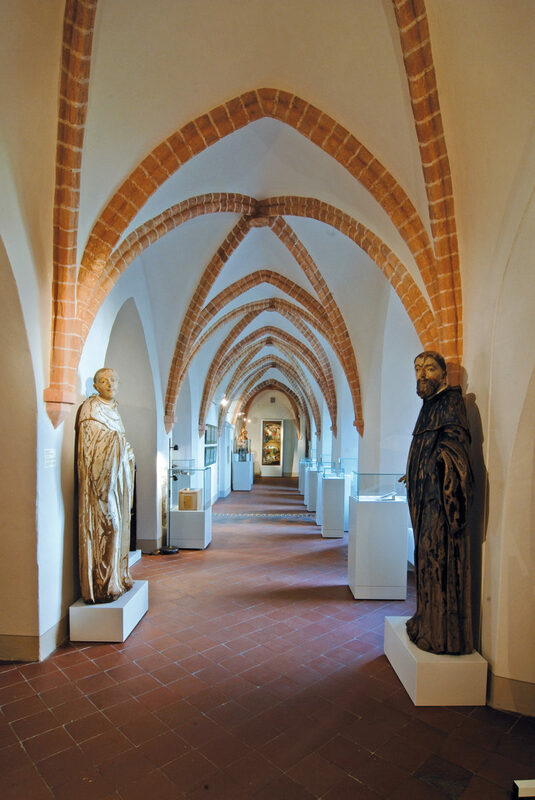 The richness in architectural art made Zittau famous across the borders of the Oberlausitz. The town had found its face and design for the coming periods. 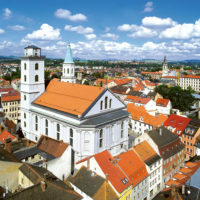 Henceforth, Zittau was known as „The Rich“ amongst Saxon towns. The Large Zittau Lenten Cloth („Großes Zittauer Fastentuch“) also testifies to the prosperity of previous years. Presumably created by a Franciscan in 1472, it counts as one of the most valuable existing works of art from this era. 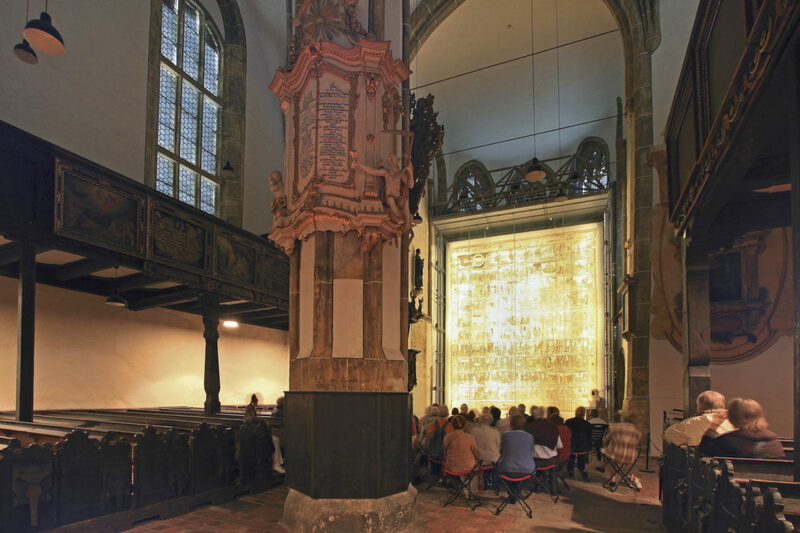 It documents Christian history in 90 images, painted in tempera on 56 square metres. 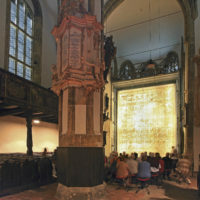 Thanks to a Swiss foundation, it was restored in the middle of the 1990s and is now displayed in the world’s largest museum display case in the Kirche zum Heiligen Kreuz („Holy Cross Church“). A smaller and younger Lenten Cloth can be seen in the Franciscan Monastery. 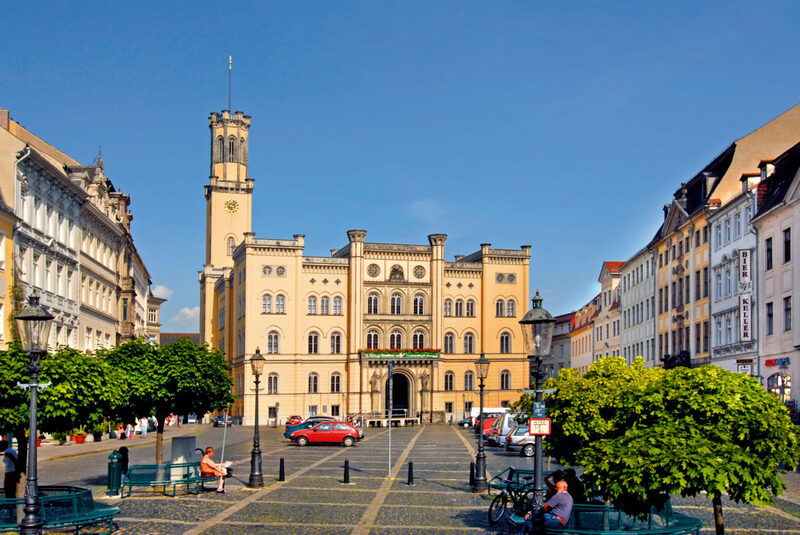 As the centre of the holiday region Zittau Mountains („Zittauer Gebirge“), Zittau is surrounded by picturesque landscapes and has shaped the varied history of the Oberlausitz.